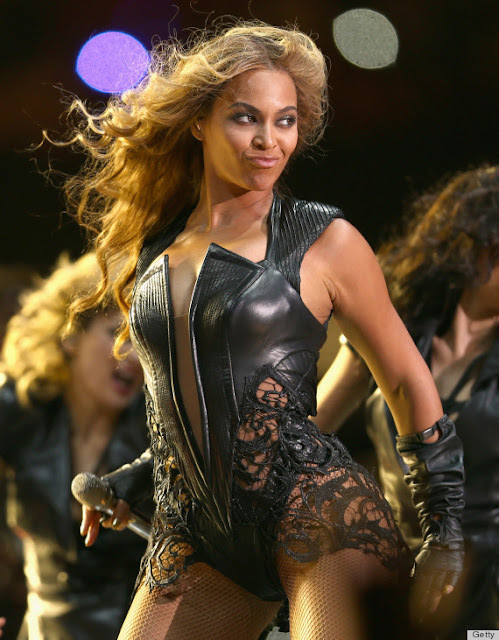 Beyonce's Super Bowl half-time show did not cause the black out according to NFL officials. So people, myself included, can stop making jokes about how the superstar drained the Superdome of its power reserves. Doug Thornton, the Superdome's manager, said Beyonce's show was run strictly on "generated power" and the stadium's main power was "metered down" during the show because the house lights were turned off. Instead, early indications from Entergy, the local electric company, are that the power outage was the result of a problem in one of the two feeder lines that power the stadium from an external substation. When an abnormality was detected, the system automatically shut off power to the west half of the stadium at 7:37 p.m. CT. Play resumed at 8:30 p.m.